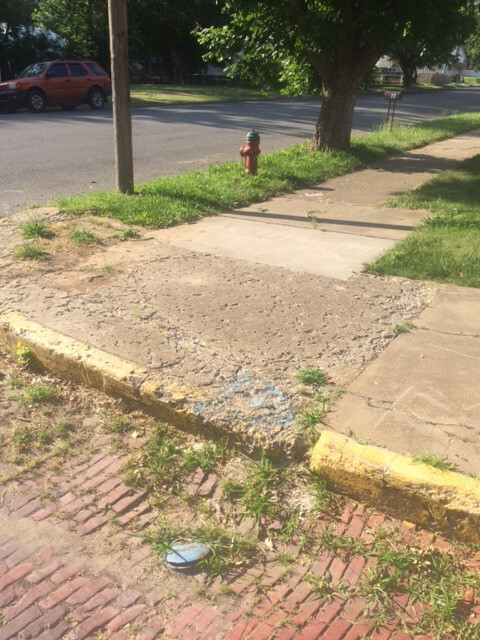 Following multiple years of planning, grant writing, and engineering design the AMS Safe Routes to Schools Project: South 5th Street Sidewalks has officially started construction. The Atchison City Commission approved the project during its regular meeting on February 4th and traffic control was deployed, marking the start of construction work, on March 25th. The Safe Routes to Schools Project is a collaboration between the City of Atchison, USD 409, and Live Well Live Atchison. In 2017, all three parties formed an inter-local agreement to create a plan for Atchison Middle School. The project included community meetings, surveying of students and parents, and ultimately a $400,000 grant application to get the Safe Routes to Schools Program off the ground. The Safe Routes Project on South 5th Street includes extensive sidewalk replacement along 5th from Park St. to U St., as well as some of the connecting side streets. Julius Kaaz Construction out of Leavenworth will serve as the general contractor, beating two other bidders to win the contract for the project. 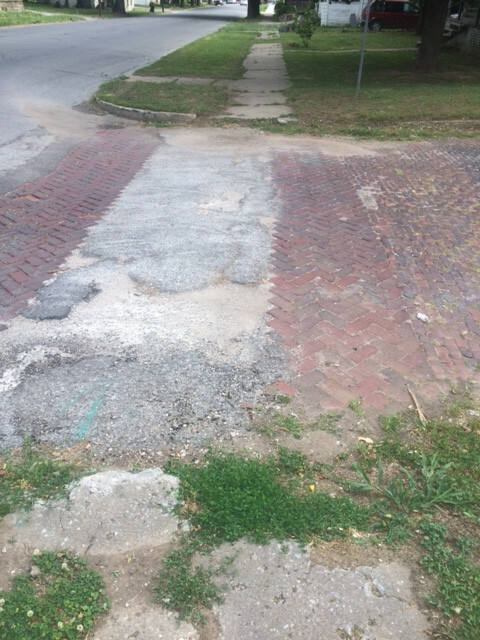 Beginning with the Downtown West ADA Project (2016), the City of Atchison has undertaken a multi-year strategy to upgrade pedestrian facilities, focusing on downtown and the immediately adjacent residential neighborhoods. The AMS West Sidewalks Project (2018), the Safe Routes to Schools: South 5th Sidewalks Project (2019) and the 2nd Street Corridor Project (2019) are all examples of major investments in pedestrian infrastructure. 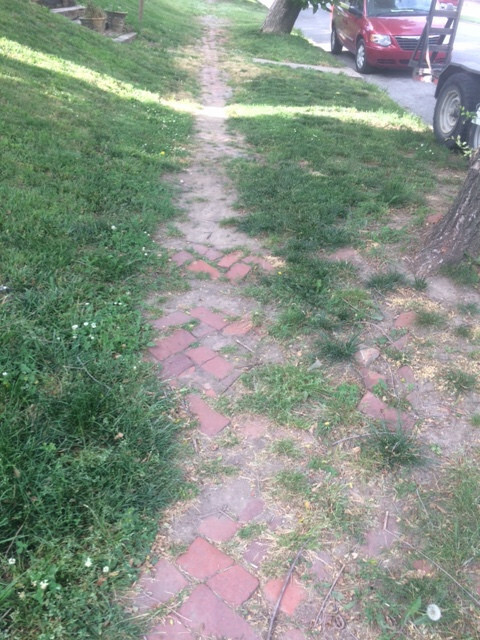 The City and USD 409 intend to continue leveraging grant funds to improve sidewalk conditions and connectivity, especially in the neighborhoods surrounding Atchison Middle School. The map below showcases recent and upcoming major capital projects investing in pedestrian facilities in downtown and the adjacent neighborhoods. 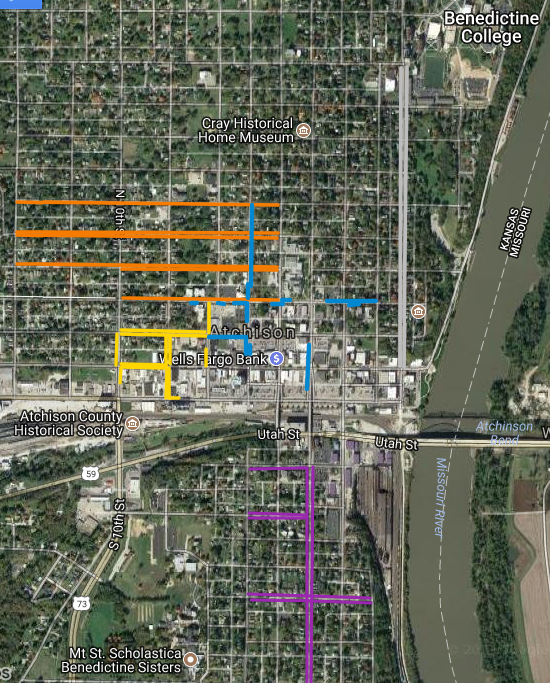 Summary: This project will begin at the intersection of south 5th Street and Park Street on the south end of the 5th Street viaduct in downtown Atchison and end at the intersection of south 5th and U Street. The project will reconstruct sidewalks, curb/wheelchair ramps, and intersection crossings along south 5th Street, as well as some of the connecting side streets along the way. As a Safe Routes to Schools (SRTS) Project, the intent of this effort is to eliminate barriers for students to safely and regularly walk or bicycle to and from Atchison Middle School. 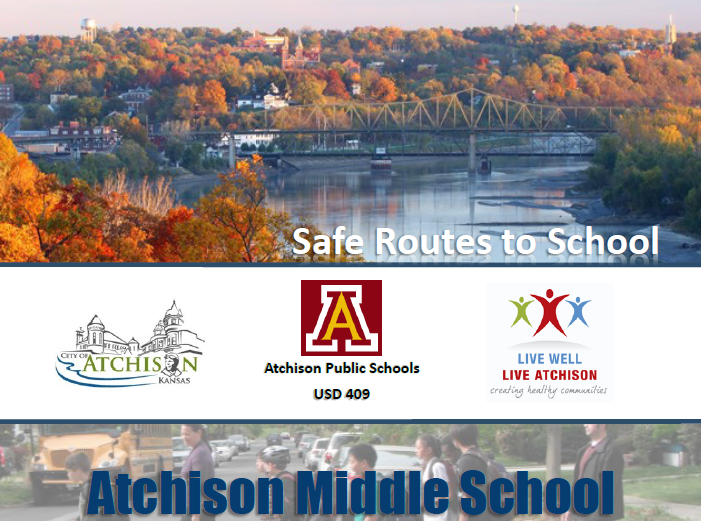 Prior to submitting a grant application to fund the project, representatives from the City of Atchison, USD 409, and Live Well Live Atchison collaborated to engage the public and develop a Phase 1 Safe Routes to Schools Plan for Atchison Middle School. Funding: This project is primarily funded by a $400,000 federal Safe Routes to Schools (SRTS) grant. That grant application was authorized by the City Commission on June 19, 2017. All expenses over and above $400,000 will be the responsibility of the City of Atchison.